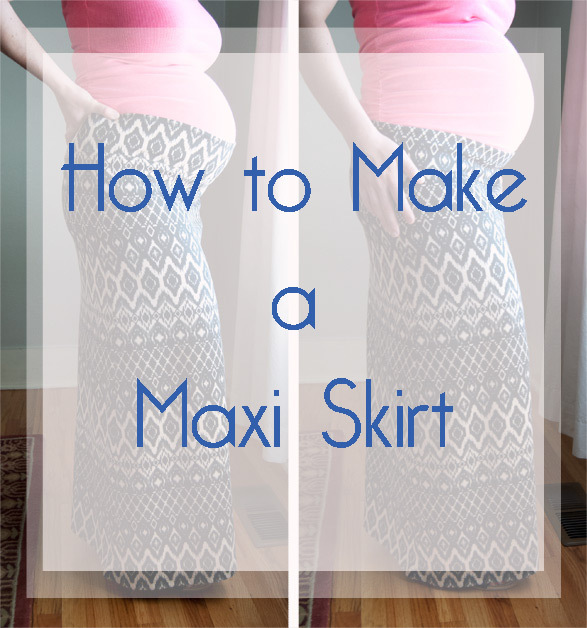 If you haven’t already read Part 1 of making a maxi skirt to get your pattern measurements figured out, pop on over here! Alright! Now, where were we? 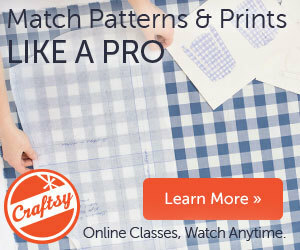 If you are ready to go, then you should have your pattern measurements ready to mark on your fabric and cut. It’s a pretty speedy process to make these skirts. I’d say that total, from marking the pattern to finishing the hem, it takes me about 45 minutes to sew one of these up, and that’s not sewing quickly. I make sure to have my machines threaded and ready to go, so that there’s no stopping to change out thread. Quick projects are sometimes the most satisfying things to make! Let’s talk about the fabric layout that you’ll use before we mark on the wrong side of your fabric. You have three options to choose from. The first layout is very straight forward. Your fabric will be folded in half with the right sides together, and you will draw out your skirt and your waistband and cut them on the double. 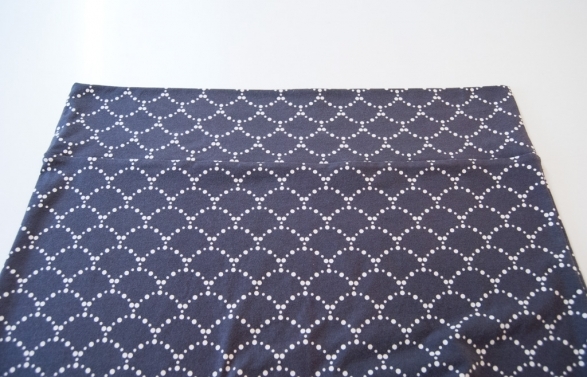 This a good choice if your skirt hem circumference is no wider than 29″ (that’s with seam allowance added in), if your fabric does not have a large repeat that you would like to match up, and if you plan on having the front and back pattern pieces be the same width. The second option is to draw out your skirt pieces so that they stagger. 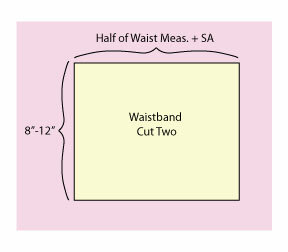 This will help if you are matching a large repeat, if you are using different measurements for the skirt front and back, or if you are using a wider waist circumference measurement. 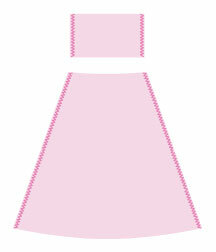 This layout could result in a narrower skirt flare, depending on your chosen individual measurements. 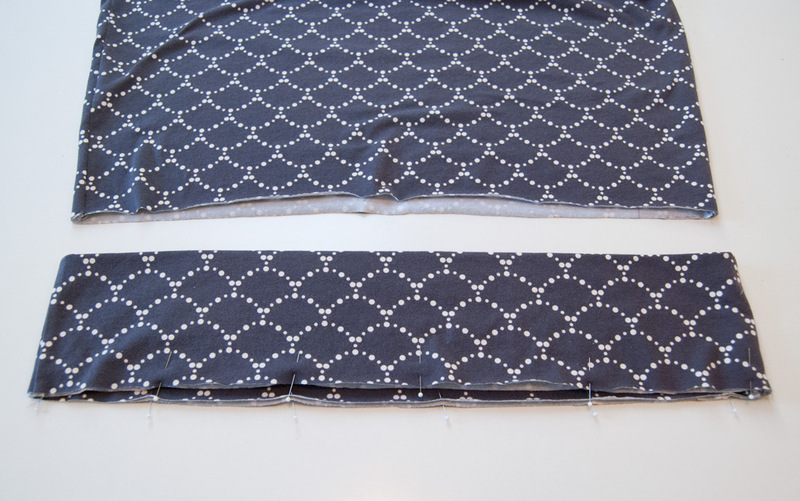 If you are making a longer skirt with a wider flare at the hem, you may want to purchase an additional 1/2 to 1 yard of fabric and use the third layout option. The third layout choice is great for many reasons, but because it requires extra fabric, I usually don’t use it unless I want a really flowy skirt. With this, your pieces are individually laid out with one above the other. This gives you the best chances of matching a repeat, having the hem circumference width you are looking for (especially if you want it to be extra flared), and is the best option for large waist/hip measurements and separate front/back pattern pieces. I want to let you know that shortening this skirt and making it knee length is a great option if you don’t have enough fabric to make the maxi version. I would keep the same amount of flare at a total of 60″ at the hem, but other than shortening the side seams, keep everything else the same. 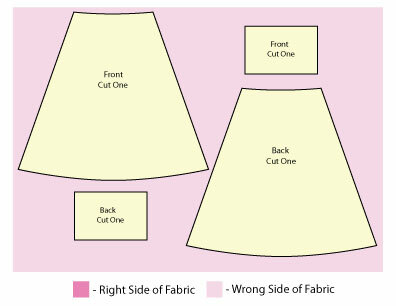 Once you know what layout you’ll use, you can begin drawing out your skirt pieces. I use tailor’s chalk to do this, but thread basting, water soluble markers and chalk work just as well. It will be very helpful if you have already added in extra length to all of your measurements to account for seam allowance. Hem allowance can be added as a last step to each main skirt piece. 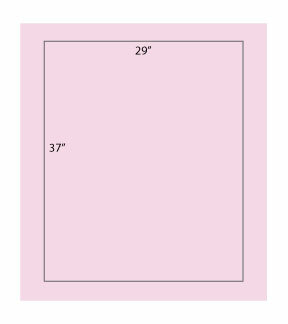 Start by marking out a rectangle. It should be as long as the desired length of your skirt, as as wide as 1/2 of your desired total hem circumference, plus seam allowance. Remember to add enough seam allowance for both side seams. 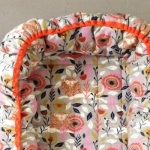 If your seam allowance will be 1/4″, then add and extra 1/2″ to each measurement. I like my skirts to be 37″ long and to have a total hem circumference as close to 60″ as possible. On my body, this makes a fairly straight but still easy-to-walk-in skirt that can rest right above my toes. Mark the middle of your rectangle at the waist and hem. We’ll use this point at the waist as a reference for drawing the waist and figuring out the side seam angle. Once you have the middle marked, measure one quarter of your waist measurement on either side of the top center mark, to equal half of your full waist measurement. Be sure that your seam allowance is added to this measurement. From the side seam waist markings, draw your side seam lines down to meet the corners of the hem. You should have the basic shape of your skirt now. Let’s fix the side seam angles so that you don’t end up with very pointy pieces! 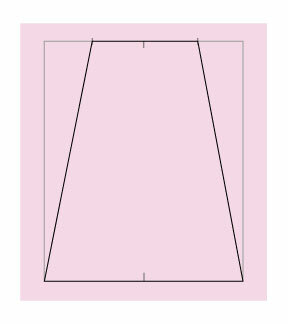 At the center marks on both the waist and hem, measure down at least 1/2″. If half of your total waist measurement is over 24″, measure down 1″. 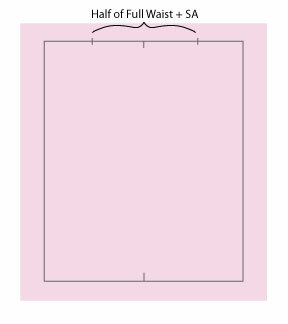 Create a 90º angle off of the side seam line for at least 1/2″ (and up to 3″), and draw a gentle curve that incorporates the new straight waist lines at the side seams and the lowered center waist mark. 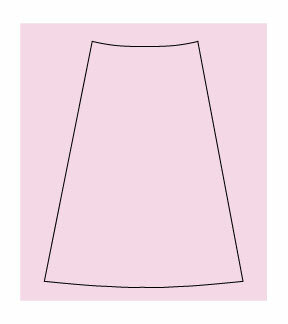 Be sure to draw this same curve on the hem. Double check your measurements to make sure you have included seam allowance, and add on your hem turn-up. 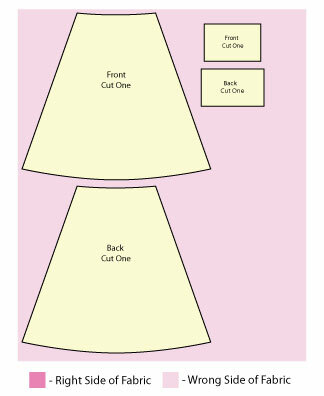 To help eliminate errors in cutting, it can be really helpful to draw out all of your pattern pieces before you start cutting. That way, if you’ve chosen the wrong layout, or you discover a snag in your fabric or error in your marking, you can easily fix it. Next, draw out your two waistband pieces. The waistband is a very simple rectangle. It should be the same width as the waist measurement on your skirt body pieces, and should be tall enough to fold over. I prefer to make my rectangles 8″ tall, but with a thinner knit I will make them 12″ so that I end up with a 6″ fold-over waistband. Once you have your pieces drawn out, you can cut them and pin together the skirt pieces and the waistband pieces. 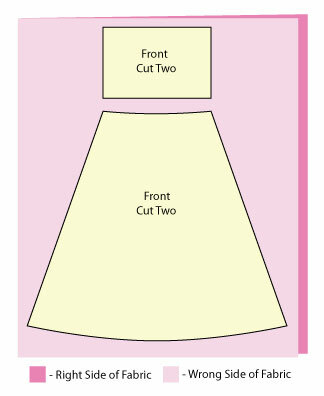 Be sure to label your them as “front” and “back” if you chose to not have the front and back use the seam measurements. Sew together the skirt pieces and the waistband pieces along the side seams. I drew this out since I forgot to take a photo. Oops! Yes, my waistband fabric faces the other way. I wanted some contrast! Match up the sides seams (and the front and back, if necessary), and pin the waistband and skirt together. You can sew this together with a serger set on a 3 or 4-thread overlock, or you can sew it with a narrow zigzag stitch on a sewing machine. 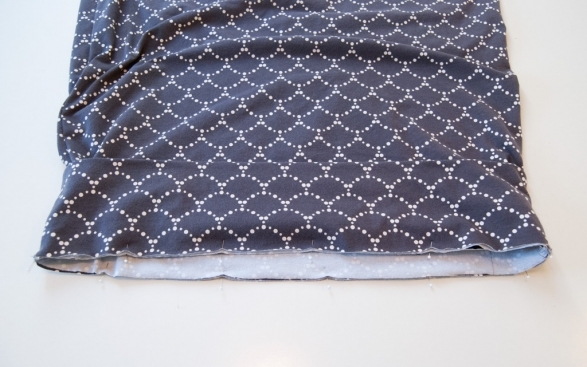 Check your seaming choice on a scrap of your fabric before you sew the waistband. It has to have plenty of stretch to it, or the seam will pop. 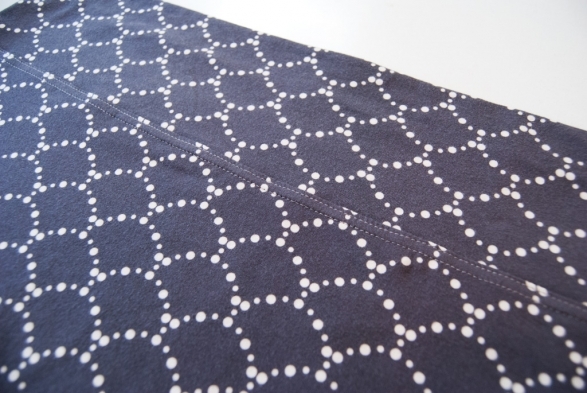 After sewing this seam, give the seam allowance a light press so that it folds down towards the hem. Use a cover stitch, twin needle or wide zigzag to sew down the seam allowance. Try on the skirt and mark your hem. It’s a little bit hard to mark it if you’re making the maternity version because depending on how you carry, it can sit much lower in front. But, I recommend that you not shorten the hem in front by much. The skirt will sit lower in front, but if you fold over the front waistband more, and the back waistband less, it will help to even out the hem. I make my hem even all the way around by simply turning it up one inch, and then I adjust the waistband to make the hem sit where I want it to. I use a 1″ hem turn-up, and stitch it down the same way I stitch down the waistband seam allowance. That’s it, and wow, that’s a lot of writing for something that’s so easy to sew! I hope you enjoy your new skirts as much as I like mine! Have I mentioned how well these pair with the Megan Nielsen Ruched Maternity shirts? This is my new pregnancy wardrobe staple! This entry was posted in How To Make, How to Sew, Projects and tagged clothing, How to Make, How to Sew, sewing, tutorial on August 25, 2014 by Amy Alan. Awww, there’s a BABYYYYY in there!!!!!! I knooooow!!! 🙂 I’m starting to get pretty antsy about meeting her. Only 10 more weeks to go (which I’m sure will feel like forever and ever)! You look great and this skirt is adorable. I can’t wait to try it. 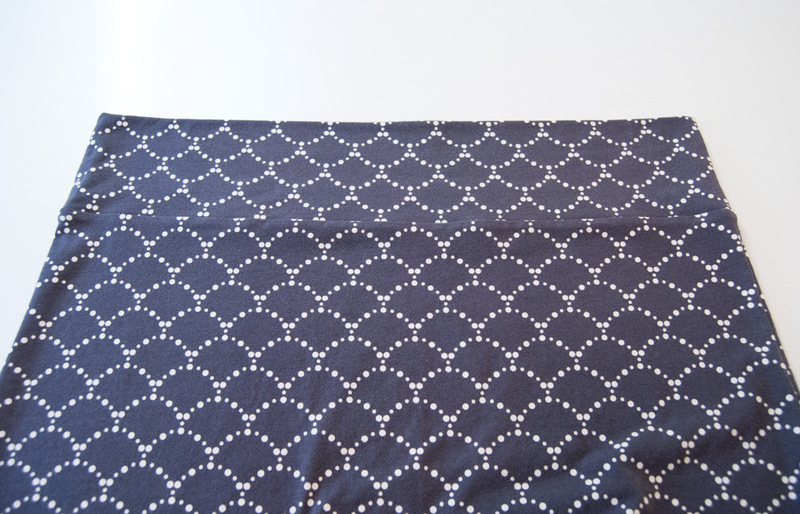 Could you tell me what knit you’ve used for the second skirt – the deep blue with sort if fish-scale pattern? Thank you! Thank you, thank you! This skirt is probably my favorite one I’ve made. The fabric is produced by Art Gallery, the designer is Bari J. Ackerman, the collection is Emmy Grace and the print name is Ripples Knit in Pond. The print is originally intended to go the other way (so it scoops down instead of up), but I flipped it so it looked a bit less like fish scales. You look great Amy and so does your skirt. You make it all seem so easy? Thanks, Kate! It is easy- really! Just a few simple seams and you can have an incredibly comfortable piece to wear. Necesito saber si puedo coser en tela camiseta ?